Determining print sizes at a given resolution. 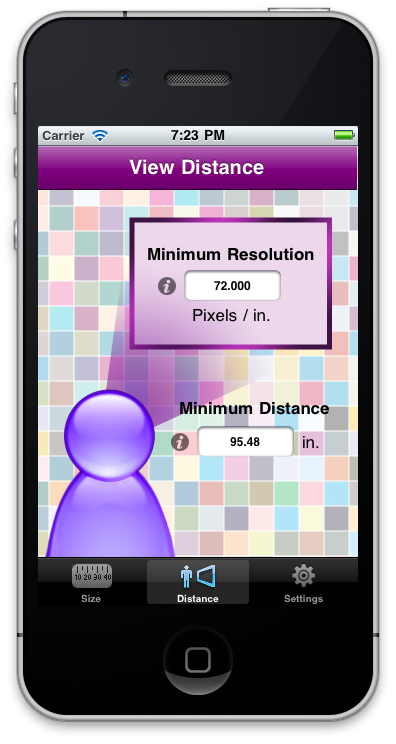 Calculate image sizes needed for a print at a specific resolution. 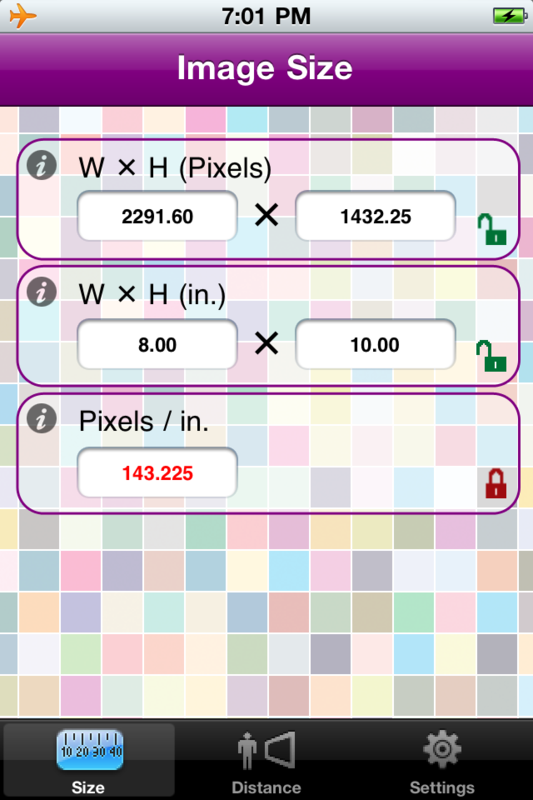 Use the Lock buttons to constrain your calculations, preserving either image size, dimensions or resolution.